Hawaii is known for its vibrant beaches and endless options for aquatic recreation. The Kohala Coast on the west side of the island offers the best snorkeling, diving, and surfing spots. Residents suggest exploring to the north and south of Puako, which is centrally located on the coast. Stop by Kohala Divers, Hawaii Surf and Kayak, or Snorkel Bob’s to rent gear if you didn’t bring your own. Go play in the surf and sand! The Big Island is known to have the clearest and most pristine reefs in the island chain! 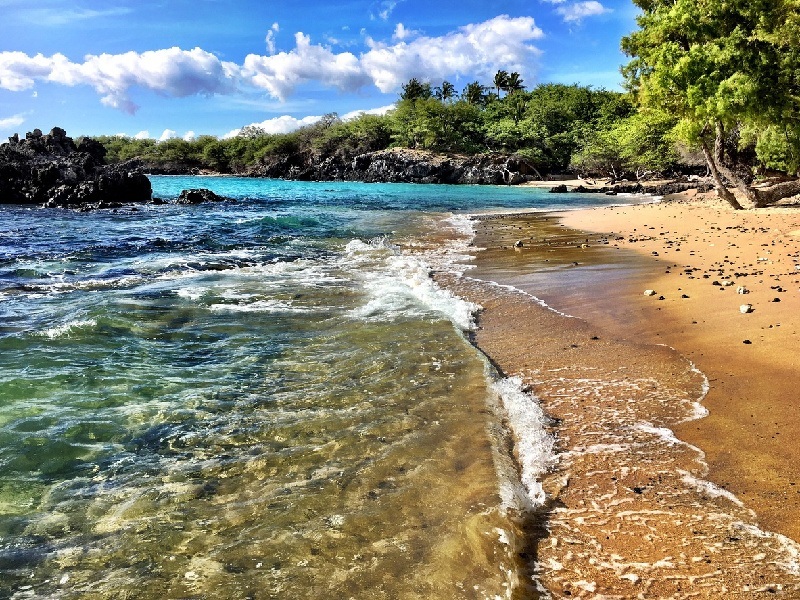 Start your adventures on the Kohala Coast by visiting Paniau Beach on Puako Drive. The beach is especially fun for experienced snorkelers and scuba divers. 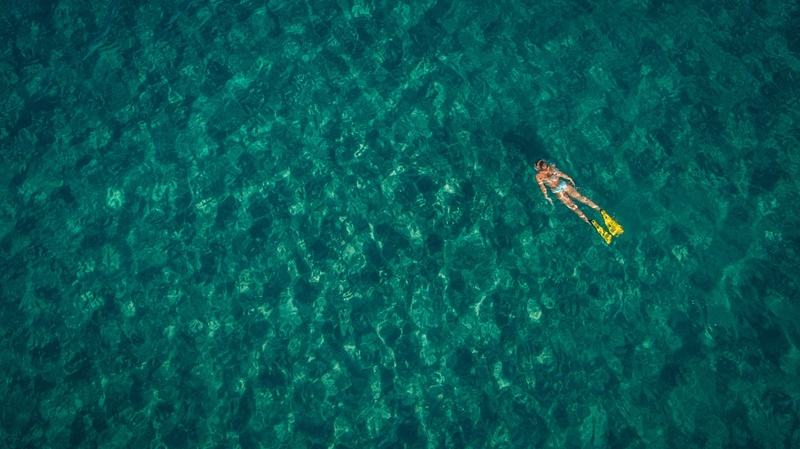 Seeing as the name “Paniau” means “many currents,” reef shoes with snorkeling fins are advised. For a more beginner-friendly outing, Mauna Lani’s Beach Club and Peak’s Surf Spot are around the corner. This area is unique in that there is always something for everyone. Waialea Beach is the next stop north of Puako on Puako Drive. Locals call it “69’s Beach” in homage to the #69 utility pole in the parking lot. Despite its quirky name, the beach is undoubtedly gorgeous; the best times to witness its beauty are at sunrise and sunset. Waialea is a nature conservation zone where divers and snorkelers are sure to appreciate the diverse wildlife. You may be lucky enough to spot Harry, the resident seahorse! Hapuna State Park is a body surfer’s paradise with impressive waves year round. At the north end of the beach, the Prince Hapuna Hotel offers poolside refreshments. Hiking north on King’s Trail, you arrive at the Mauna Kea Resort, which boasts one of the top rated beaches in Hawaii. With white sand and spectacular blue water, it is the perfect Hawaiian paradise! Or, take a short walk south to relax at the Hui Holokai restaurant while watching dolphins swim by. Purchase fresh Ahi tuna from “Da Fish House” in Waimea and pack your barbecue or hibachi; grilling is permitted on the beach at Pine Trees. After lunch, continue your surfing sessions at Lyman’s Surf Spot, a favorite place for long boarders. Lyman’s is home to big, fat, glassy waves that present an exciting challenge! A longtime resident of Puako, I understand the Kohala Coast better than anyone. As an avid body boarder myself, I am knowledgeable about what is important to those who lead an active lifestyle. Whether you are searching for land, a condominium, or a house, Hawaii Life can find you the perfect home. Please visit my website for more information. Jan Nores is a REALTOR(S) with Hawai'i Life. You can email me at	jan@hawaiilife.com	or via phone at (808) 895-5445.